Google is synonymous with searching and a large number of people turn to Google for finding information or making purchases on a daily basis. Users discover products and services in their area via Google and that is the primary reason why this search engine has emerged as the most potent advertising platform especially for the local businesses. In order to give better business exposure to the local mom and pop shops, Google took few fantastic initiatives and streamlined their local search results. Google’s new local search ads are available to advertisers using location extensions in AdWords. The Google Maps ads are designed to help businesses be more visible to their target audience as the physical locations of the businesses are now appearing with their ads. It is a valuable aspect of every business to let their clients and customers know where they are physically located so that people could find them rather easily. Customers are the lifeline of every business; ads appear in the “Local Finder” results in Google Maps, allow your customers to connect with you in a smart and easy way. People get heavily influenced when they see the location of the store along with the search results. That is the primary reason setting up ads in Maps will help you attract a greater number of people at the doorstep of your store. Only having a well-decorated storefront itself will attract business is an outdated concept. Along with running online advertising, you need to make people aware of where your exact location is in order to increase footfall on your store. “Let’s Put Our Cities on the Map,” is the initiative taken by Google to aid small businesses to boost the number of visitors to their store by making it easier to find a store via Google Maps. “This tailor-made program provides each city with a custom website where local businesses can find helpful resources, including new diagnostic tool that shows businesses how they appear on Search and Maps, a step-by-step guide for getting online with Google My Business, and a free website and domain name for one year with our partner, Startlogic,” says Soo Young Kim, the Group Product Marketing Manager at Google. First Advantage – When your business is listed on Google Maps, people can get ample information about your geographical location. The “Local Finder” results in Google Maps will offer you an exclusive online presence. Second Advantage– In spite of not having a shop in a prime location of the city, you can drive awareness of your services or products to your potential customers by listing your business on Google Maps. People who wish to visit your store or office could opt for Google Map directions and easily reach you. Third Advantage- Irrespective of how well optimized your website and online contents are, you could secure first-page presence on search results by integrating Google Maps. The success of a business depends on how efficiently it is reaching the customers/clients at the exact moment when they are most likely to purchase a product or avail a service. It takes a fraction of a second for an individual to make a buying decision, and if you could capture the attention for those milliseconds, you can successfully drive him or her to your store. But “capturing the attention for that milliseconds” is the most challenging task that requires a huge effort. The tagline of Cisco at CES 2014 event “Amazing Things Happen When You Connect the Unconnected” can be applied regarding the promotion of your business on Google Maps with Google AdWords. Advertising on Google Maps is an effective way to establish a powerful connection with your customers and redefine your business. Second: You need to set up a Google My Business Account- you need to select Add Location and then follow the Get on Google instructions to register your business on Google. It will take around twenty-four hours for Google My Business to sync with the ad extension. Google uses an algorithm called Ad Rank to decide which extensions to show you adverts with and will show the ones that are most likely to results in a click. Ad rank is based heavily on your max CPC bid and your quality score. From here you can easily edit your bid for your targeted locations. 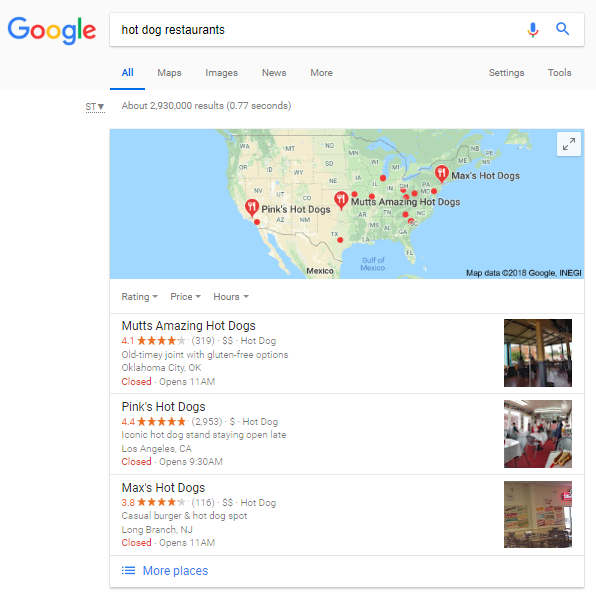 The moment a searcher start searching for nearby businesses on Google.com, the location of your store will appear at the top of the local results. 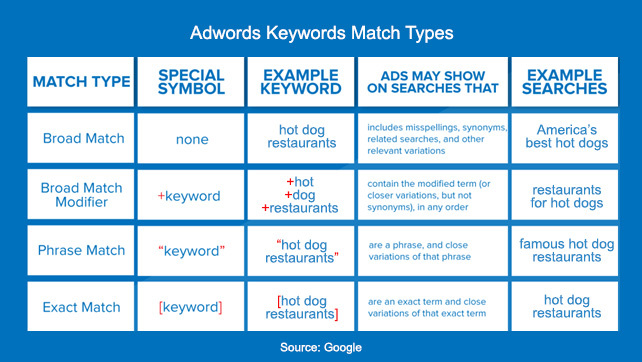 After identifying the target location(s), its time to optimize your keywords to enhance the effectiveness of your campaign. According to the SEO experts, while selecting keywords, put yourself in your customer’s shoes and try to understand their search-psychology. Keywords and phrases should be highly specific and relevant to your business and should be perfectly matched with the location. Broad Match- It is the default match type and the one that reaches the widest audience. Phrase Match– Your ad will only appear when a user searches for your exact keyword phrase along with additional words. Exact phrase: Enclosing a key phrase in brackets forces Google to match the phrase exactly when triggering your ads and excludes any other words from matching. Perhaps you’re already advertising on Google, but integrating Google Maps with AdWords, will allow searchers to easily get information about your business on search and maps. It will definitely enhance the number of incoming phone calls, your lead generation efforts and the percentage shoppers arriving at your physical location. AdNabu is a modern day technology firm where we help our clients to achieve 3x ROI with Google AdWords. We always focus on increasing the ad reach without charging high.